The civilized world got used to the cats and dogs as the most common pet friends of children. But what about kids in savannas of Africa, Asian steppes, and Amazon rainforests? Who are their playing partners? It is hard to believe, but in another part of the world kids play with monkeys, sloths, elephants, and even cheetahs! The story of a real Mowgly, Tippi Degre, is really amusing. Tippy is a famous girl, born in 1990 in Namibia. Her family was French, working in the African national parks. 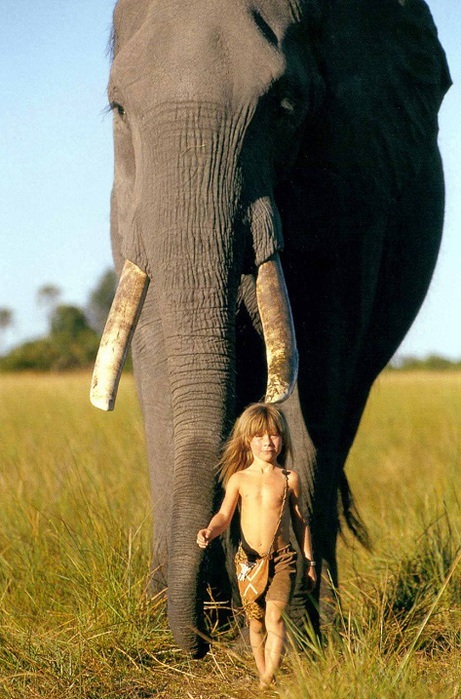 Both of her parents – Robert and Sylvie - were wildlife photographers, so Tippi was raised in the wild nature, thinking that animals are her best friends. She had no fear and the animals appreciated that. They let her touch them, climb over and easily play with them. On this photo Tippi is showing her affection to her 28-year old elephant mate Abu, who she always called “my brother”. 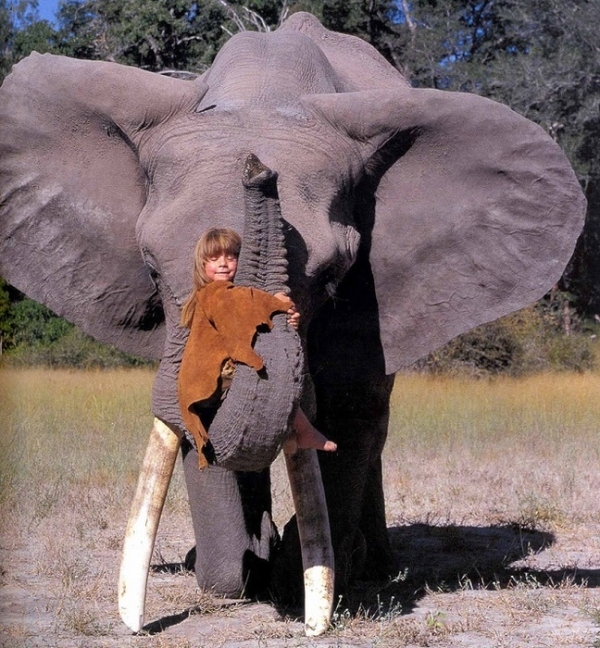 Tippi rarely played with African kids, so most of the time the girl devoted to animals. 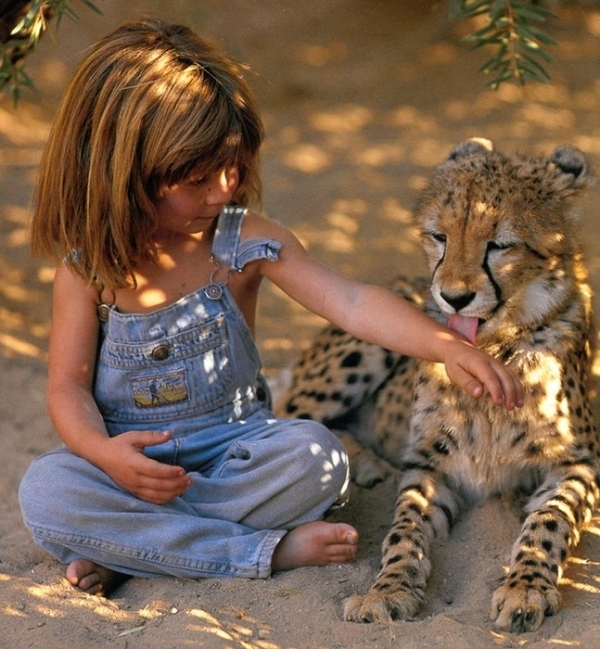 She claimed to understand animal language, as Tippi learned all the habits, gestures and “rules” of the animal world. It came naturally to her, as to learn a foreign language is for other people. Much more difficult it was to learn the traffic rules ten years later when the family moved to the city. Now Tippi Degre is getting her Arts degree in Paris in order to return to Africa again and film a documentary about her motherland. Meanwhile, everyone interested can check the book Tippi: My Book of Africa, full of stories and photographs made by Tippy and her parents. Was it madness to let a little girl play in savanna? Or was it an honorable thing to bring a kid back to nature? We shall better ask the grown-up Mowgli, when she presents us her new documentary about the real life in Africa. In the high Andes of Southern Peru alpacas have been kept as pets for centuries. 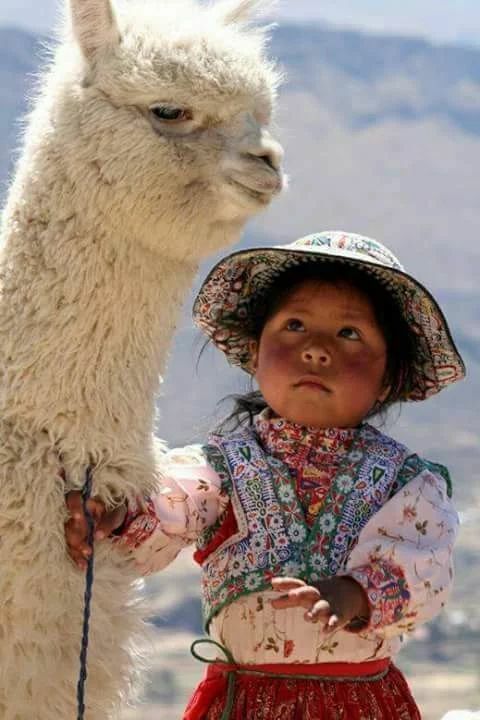 Peruvians consider this animal their cultural heritage, as alpaca’s wool is used for production of blankets and sweaters, gloves and hats, scarves and ponchos. The lives of whole families depend on the well-being of these gracious animals. For children, it is so natural to take care of alpacas that they think of these animals as of their essential friends in life. Click "READ" or "READ MORE" to keep reading the article, and "NEXT" or "NEXT PAGE" for every next page, or click "One Page Article" button to see whole article on one page. If you like our post, please like/share it on social networks listed bellow. You can also like our FB page in right up corner of the page for desktop and tablet users, or just bellow comment section for mobile users.